Püsimeigi Stuudio is in Kristina Ilutoa rooms. 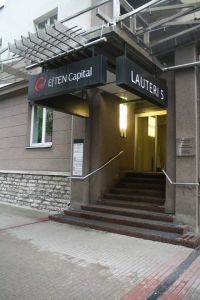 If you are facing EBS school, then our building is in your right hand(you see Ergo or Eften Capital signs). Go to the center of the building, press Kristiina Ilutuba and take the elevator to the 5th floor. Monday to Friday: 9:00 a.m. to 17:00 p.m. Consultations and appointments need to be booked in advance. All consultations are free.